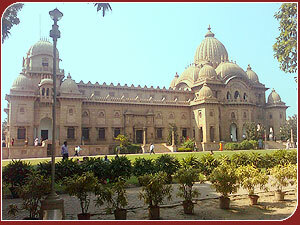 RAMAKRISHNA MATH is a an organization for men brought into existence by Sri Ramakrishna (1836-1886), the great 19th century saint of Bengal who is regarded as the Prophet of the Modern Age. 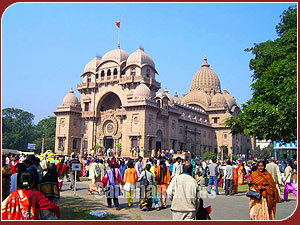 Ramakrishna Mission is a site for visit where monks of Ramakrishna Math and lay devotees cooperate in conducting various types of social service. It was founded by Sri Ramakrishna's chief apostle, Swami Vivekananda (1863-1902), one of the foremost thinkers and religious orators of 20th century, who is regarded as 'one of the main moulders of the modern world'. 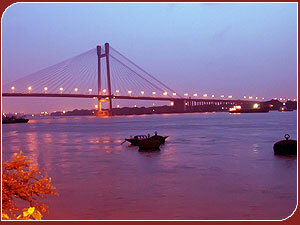 The Golden Gate bridge of Kolkata is also known as the second Hooghly Bridge. It is a unique suspension bridge of the city built in 1992.. The Bridge is supported by 457 m long and 115 m wide 121 wire cables. The bridge connects two cities - Kolkata and Howrah. The bridge has 9 traffic lanes that can handle 85,000 vehicles every day. It is the Asia’s largest cable stayed bridge. 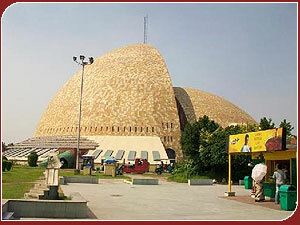 Science City at Kolkata is the largest science centre in the Indian sub-continent, consists of two facilities, the Science Centre and the Convention Centre. The Science Centre complex comprises Space Odyssey, Dynamotion, Evolution Theme Park, Maritime Centre and a Science Park. The Space Odyssey houses India’s first Large Format Film Theatre, Time Machine, 3-D Vision Theatre, Mirror Magic and exhibits on space science, motion, electricity and virtual reality. The Dynamotion Hall has a Butterfly Corner, Aquaria, an exposition on giant robotic insects and host of interactive exhibits on science & technology for both education and entertainment of the visitors. The word Thakurbari literally means “House of Thakurs” and Jorasanko is a place in Kolkata. The thakurbari is the ancestral home of the Tagore family. Currently the mansion is located in the premise of Rabindra Bharti University campus. 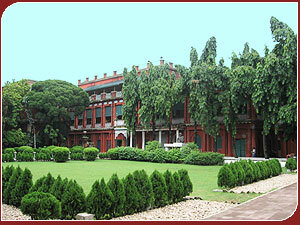 The mansion was built by Prince Dwarkanath Tagore (Rabindranath Tagore's grandfather) in the 18th century. The Indian Museum is the largest museum in India and has rare collections of antiques, armour and ornaments, fossils, skeletons, mummies, and Mughal paintings. It was founded in 1814. It has six sections comprising thirty five galleries of cultural and scientific artifacts namely Art, Archaeology, Anthropology, Geology, Zoology and Economic Botany. This multipurpose Institution with multidisciplinary activities is regarded as an Institute of national importance. 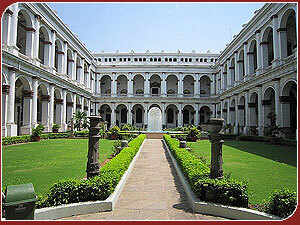 It is one of oldest museums in the world. The temple is visited by pilgrims from all over India irrespective of sectarian differences. The thousands of pilgrims who flock daily to the Kalighat temple treat Kali very much like a human mother, bringing her their domestic problems and prayers for prosperity, and returning when their prayers are fulfilled to express their gratitude. Their attitude towards the Goddess is guided by their religious traditions and training, their spiritual and intellectual capacities, and the guidance of their temple priests. Kalighat is regarded as one of the 51 Shakti Peethas of India, where the various parts of Sati's body are said to have fallen, in the course of Shiva's Rudra Tandava. Kalighat represents the site where the toes of the right foot of Dakshayani or Sati fell. Legend has it that a devotee discovered a luminant ray of light coming from the Bhāgirathi river bed, and upon investigating its source came upon a piece of stone carved in the form of a human toe. He also found a Svayambhu Lingam of Nakuleshwar Bhairav nearby, and started worshiping Kaali in the midst of a thick jungle. Kalighat is also associated with the worship offered to Kali by a Dasanami Monk by name Chowranga Giri, and the Chowringee area of Calcutta is said to have been named after him. 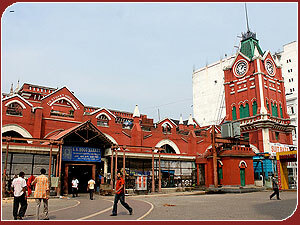 New Market, the then market for Britishers was founded on January 1, 1874. New Market was formally christened Sir Stuart Hogg Market on December 2, 1903. Sir Stuart then Calcutta Corporation’s chairman, had tenaciously supported the plans for building New Market. To this day, a painting of Sir Stuart Hogg adorns Calcutta Corporation’s portrait gallery. This name was later shortened to Hogg Market. Bengali society called it Hogg Saheber Bajaar, a name which is sometimes still used alongside the name New Market. New Market’s growth kept pace with the city’s urbanization endeavours until World War II. The northern portion of the market came up in 1909 at an expense of 6 lakh rupees. Finally, beneath the gathering clouds of World War II, an extension on the south flanks was engineered. A finale to these structural expansions in the 1930s was the installation of New Market’s historic clock-tower. A fire burned down large portions of the original building on December 13, 1985. It has since been rebuilt, and provided with a new wing. The Victoria Memorial is a memorial building dedicated to Victoria, the then Queen of the United Kingdom and Empress of India, The astonishing architecture was opened in 1921. It is also a museum where people see before them pictures and statues of men who played a prominent part in the history of British India and develop a pride in their past especially in relation to the history of Calcutta. Lord Curzon conceived it. 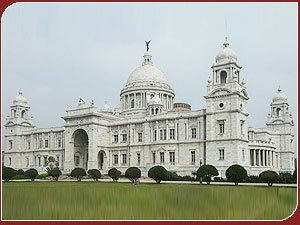 Presently it is the finest and most prominent building and art museum of Kolkata. H.E. the then Viceroy and Governor General of British India built this beautiful Jain temple and garden in 1867. Rai Badridas was the pioneer of Johari Sath Community. 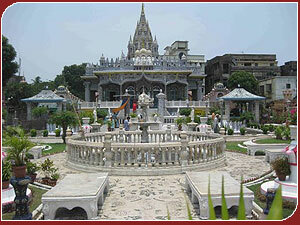 He himself was the designer and architect of this temple according to "Glimpses of Bengal", published in 1905. The entire temple and outside campus is beautifully decorated with Belgian glass. The throne of the main Deity Shree Sheetalnath, the tenth Tirthankara is decorated with real gemstones and silver. There are other idols made of Emerald, Ruby and other precious gemstones in the temple.